Brands are racing to create a social presence on Facebook, Twitter and the hottest social networks of the moment. The initial goals, of course, are to increase brand awareness and build community. To do so however, takes a holistic approach that extends beyond the regiment of broadcasting messages to silent audiences. Now, brands must establish a social equilibrium whereby the 4C’s of community drive measurable and mutually beneficial activity and engagement through the thoughtful introduction of content curation and creation, conversation, context, and continuity. More importantly however, brands must now find creative means to recognize the role of a more informed and connected consumer and the varying influence they wield in the social ecosystem. Recognition and empowerment represent the social sparks that can help businesses not only socialize their brands but now also activate consumer behavior. While editorial programming and meaningful engagement unlock the spirit of community, it ultimately sets the stage for not only conversations and connections, but also monetary transactions. As social media matures, brands must introduce new social sparks that convert decisions and intentions into outcomes where and when attention is focused. Doing so introduces us to potentially viral opportunities that trigger a social effect propelled by a new “C” in the 4C’s of community… social commerce. The pervasiveness of social networks is transforming business as the attention of the consumer is increasingly focusing on their social streams. It’s where they learn, discover, and share. And as in anything, there are those who get it and those who don’t. Those who do however, are increasingly taking to social channels to seek advice and guide purchase decisions in their social networks. This changes everything, requiring businesses to augment strategies to reach both traditional and now also social consumers respectively. The rise of the social consumer warrants much more than attention however, it requires an understanding of what motivates them to click, act, and share. These drivers are different than that of a traditional consumer. They are not motivated by the clever gimmicks nor are they inspired to seek out your presence within social networks. Attention is a precious commodity and these individuals require direct engagement that recognizes their stature in the social web and rewards them for it. And it is this stature, that introduces brands to a social consumer hierarchy where varying levels of influence are met with dedicated engagement and activation programs. Why? The social consumer is connected and their actions reverberate across social graphs to spark conversations and ultimately clicks to action. And, when motivated or inspired, the social consumer can exact change through the unification of conversation. As we witnessed recently with the Gap, its new logo was met with a firestorm of controversy when the connected consumer responded en masse using their social soapboxes to express discontent and demand resolution. The lesson here is that any brand can benefit from engaging their community to convert consumers into stakeholders, allowing them to take part in the evolution of the company. This is how we earn relevance in the social Web as the touchpoints to reach consumers also in turn, reach us. In the 2010 Social Media Report, ForeSee observed that 60% of online shoppers already use social media sites and networks regularly. And, 56% of those online shoppers friend or follow retailers, but they can only do so, if the retailer is actively engaging within those networks. The study found that only one-fourth of the top 100 e-tailers (e-retailers) has yet to create a Facebook page. If that information wasn’t enough to move you, consider comScore’s report that found Twitter and Facebook users to spend more than 1.5x more online than the average Internet user. It is the responsibility of all businesses to embrace their social consumers. Earning their attention and partnership allows us to harness their reach and authority to impact the decisions of those around them. Walmart recently introduced a new program that borrows from the Groupon model of social commerce, combining the benefits of group buying and social effect of the News Feed on Facebook. Like Groupon (pun intended), Crowd Saver leverages the power of group buying to reward consumers with exclusive deals. However, the difference here is that it integrates the social graph into the mix, requiring a fixed amount of people to “Like” the offer to unlock it. This does two things. First, it heightens the demand for the deal, much like Black Friday and Cyber Monday does every year following Thanksgiving in the United States. Most notably however, Crowd Saver acts as a social object. With each like, the potential offer is spread to the News Feeds of every corresponding social graph, thus increasing its reach, appeal, and the visibility of the brand overall. For example, in a recent experiment, Walmart required 5,000 Likes to unlock a deal on a plasma TV. Why stop there? Walmart and any online e-tailer for that matter, can capture attention, trigger a response, and convert intention into commerce without ever leaving Facebook. The era of f-commerce is upon us enabling brands to host an online store within Facebook. There are great advantages to capturing attention where and when it’s focused. For example, 1-800-Flowers.com hosts a shoplet within Facebook where consumers can browse through arrangements and order directly from the Facebook tab. Doing so, sparks a social effect that broadcasts the action to their social graph. Integrating social commerce as the 5th C of Community unlocks much more than a new channel to sell, it surfaces the ability to shift social media from a cost center to a profit center. The more we experiment, the more we learn. Ultimately, the discussion of ROI becomes a matter of process as we’re able to measure investment and return as well as improve conversions to escalate ROI overall. By heightening value and delivering personal experiences, we empower and reward social consumers and as such, improve the online experiences for our community. If we are not competing for tomorrow, today, we lose critical opportunities to capture attention now and in the future. It’s a matter of digital Darwinism, where if we are out of sight, we are indeed out of mind. Pingback: Social Commerce II. « Wir sprechen Online. Brilliant essay. The challenge, methinks, is for the solopreneur/mom/pop shop to duplicate the essence within their own narrowed scope. F-commerce should be within the reach of everyone, if they take the time to tweak it to their abilities. This post along with a few other things I have read recently continue to support the concept of how social needs to be incorporated into the traditional CRM models to create social-CRM or SCRM. Attention and influence for engagement and activation for long term loyalty and advocacy. *This was accidentally posted while logged into another Twitter account. It should have been posted as Christine Mantych (@mantychgroup). My apologies. Brian you should take a look at what outdoor retailer Giantnerd.com is doing, the whole business model is built around social commerce – the loyalty program is built not just on purchases but on amount of social/community activity that helps others, and the also integrate their site with the greater social web. What’s great is that social is not a bolt-on but designed into the strategy from the beginning. Results? Increased conversion rates, average order size significantly larger than others in their category. Brian, I heard we were featured in a number of your slides in one of your great social commerce presentations. can you send me over some info? Thats fantastic. Feel free to reach out to me if you are in need of additional info on Giantnerd or social commerce. Thanks again! Not sure I see the 5 flowing in sequence…. …but I'm more interested in the unseen “6th 'C' of Community” — Competition. It's at the heart of social gaming, rapidly emerging as this decade's most prevalent architecture, and a primary (and primal) motivational force within any community. I don't know how you find the time to create these posts, but they are truly amazing. I am still not really looking to buy anything interesting enough to warrant asking my tweeps for help, but I don't find it impossible to imagine a time when I would do just that. Truly amazing amount of thought and detail. Phew. Thank you Marjorie. These are interesting times in which we live…and work. 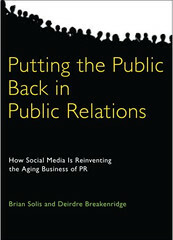 Once again @Briansolis has expanded my knowledge on social media. The Wal-Mart version of a Groupon is genius, not only is Wal- Mart driving traffic to their site but they are also exponentially increasing their reach to more people through all of their members status updates. Andrea, this is just the beginning. Thank you so much for stopping by and sharing this wonderful comment. Very unfortunate for those charged to appear in court.The root of the problem is the charges made by lawyers. Most lawyers are very good and charge sensible rates. It’s just the odd one or two that have become greedy.Our youngest has just passed his law degree and tells us what is charged by firms. I’ve done a demo on Canson the last 5 years for our elementary school and had to come up with a whole “method” for dealing with the mess from the student grade pastels. Not fun! Can;t imagine sanded paper. The death penalty will go only after it has vanished from the inner thinking of the citizens. A humane society will automatically take steps to not have capital punishment. My question is this : *After one abolishes the death penalty , what replaces it ? * Is the alternative a * life term of imprisonment * ? In some places a life term is just 15 years !!! What about those potential cases when justice may have gone wrong ? Further , life term ? does it mean solitary confinement . One hopes not~~~its as bad as death. This debate is incomplete. Very thoughtful…you’re right. I don’t understand why looks need to be part of the equation…you don’t write with your looks, you write with your soul. Brian, I have to disagree with you. Commerce is not the 5th C, it is one potential outcome of a thriving community. Yes, we will see Commerce increasingly added to communities in the future, as brands tie revenue to their social communities by activating larger segments to create a larger and more powerful sales force on behalf of their interests. However, just as Commerce is a potential outcome of a thriving community, so is product innovation. Look to the open source development community for an example of a strong community that doesn't require commerce to thrive. The 4C's of Community are a framework of what's required to create a thriving community. The C's are elements that make the community valuable to each member, ensure members ultimately become the source of the community's value and ensures the community acts as an effective information and resource filter for every member. In short, they create a community that can support itself. Commerce is a potential valuable outcome for brands, but it is not a fundamental community requirement. Eric, not in a traditional sense, no. But in social commerce, the ability to receive exclusive or special promotions within social networks is the number 1, 2, or 3 reasons most “social” consumers claim as the reason they connect with brands. When you think about it that way, it changes the idea of cultivating and empowering a community…not selling, but offering special access within a dedicated online group. It all boils back to content being king! Without something to engage, none of the other wheels are set in motion. Great post..como siempre! Brian, this is solid and basic nsight into this new migration of the consumer into a new marketing arena. Pingback: The Dawn of the Social Consumer | PHD Thread – PHD Thread is written and produced by PHD China.